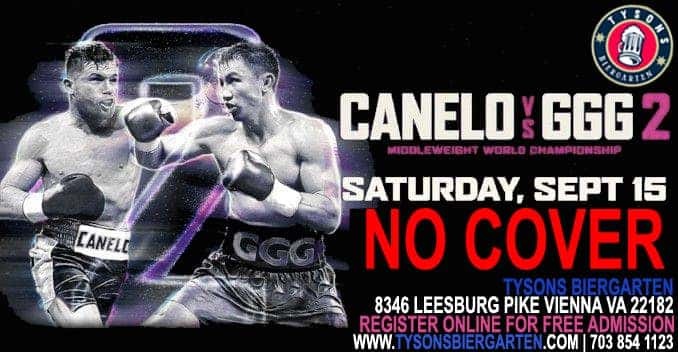 We’ll be showing the Canelo vs. GGG 2 fight this Saturday, September 15th! The rematch the boxing world wanted is official, as Canelo Alvarez and Gennady Golovkin will rematch for the Golovkin’s WBA and WBC middleweight titles from the T-Mobile Arena in Las Vegas. This event is FREE admission! Register here! We have two large projector screens as well as 17 HDTVs and a tv wall.